Details Woody Allen likes nothing better than exploring life in the city of New York. This Big Apple double-bill British quad cinema poster is the ultimate tribute to his beloved New York and succeeds on so many fronts not least of which the fact that both studies are in the romantic comedy genre with not just black & white but shades of grey embelisihing the landscape. 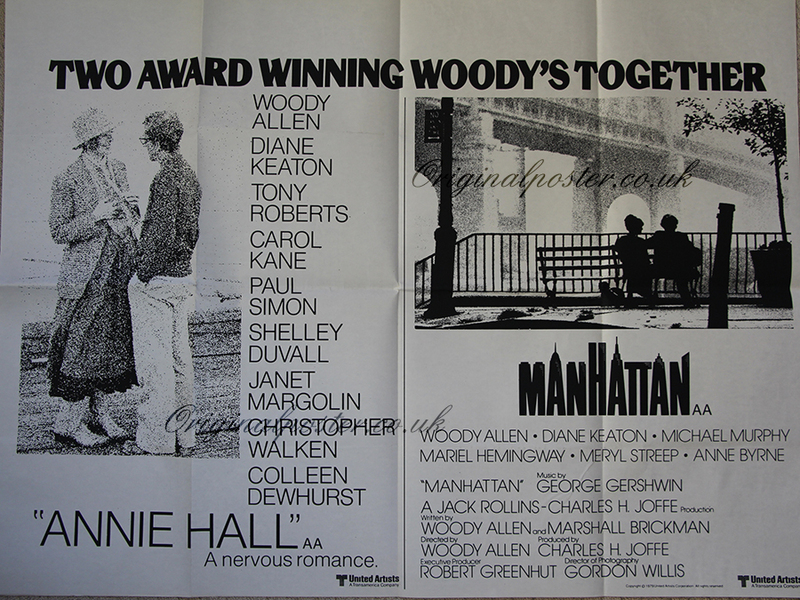 For Woody Allen fans it doesn't get much better.